The best antivirus software is the one that provides the highest level of malware protection without having an impact on system performance and comes at an affordable price. 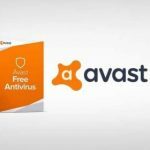 Choosing an antivirus product that completely meets your needs is quite a challenge, as there are so many of them currently offered. Looking for the best price/quality ratio, one needs to consider multiple criteria. Which features are must-haves and which ones are excessive? What is the difference between free and premium AV suites? Find the answers in our detailed guide. Malware protection is the main feature of any antivirus. 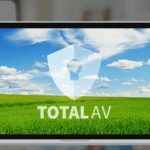 The vast majority of existing AV tools fight with various forms of malware, not just computer viruses. Check against what particular types of threat the software are effective. The best antivirus software options protect from ransomware, spyware, adware, and other advanced forms of malware. Malware database. Any good antivirus has a personal database of all the previously detected threats. 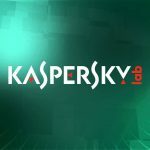 It remembers how viruses and malware used to behave in the past, which helps it identify new similar risks more effectively. Auto-updating. The importance of this feature can hardly be overestimated. An antivirus is a type of software that gets outdated faster than any other product. Regular updating is a mandatory measure that helps to minimize the number of software vulnerabilities, ensuring top-notch protection. Firewall. That is one of the most useful features around. It protects you from hacker attacks. Commonly, a firewall is available as part of the default tools of Windows OS but having it integrated into an antivirus is nice anyway. File shredder. You may be aware of the fact that deleted files can be restored in most cases. However, when it comes to viruses and malware, we don’t want them to be restored. A file shredder is a smart feature that removes files forever. There can be some other useful features, such as a built-in password manager or parental control. They add convenience, and many users are enthusiastic about having them integrated into the AV suite. But they are not directly related to the quality of malware protection. The feature set is not the only thing to consider when choosing an antivirus. After all, most AV services providers offer similar features, but you can’t buy and use them all. Experts recommend relying upon several criteria to take an independent look at the AV product in question. The quality of antivirus (anti-malware) protection. Of course, you don’t have to test various products and compare the results. Instead, check the official data published by the world’s best-known independent testing labs, such as AV-TEST or AV-Comparatives. The products that are ranked higher are worthy of consideration. Reliability and compatibility. Be cautious about new products developed by unknown brands – this is gospel truth. They often come at an attractive price (or for free), but you never know what is hidden behind this price. Scammers may develop them. Also, make sure the product is compatible with your OS version, and it won’t conflict with other apps. Comprehensive protection. A good antivirus should be able to protect all the channels malware can potentially come from; these include USB-drives, e-mails, messengers, and social media, Wi-Fi networks, and so on. You must be protected on every side. Ease of use. 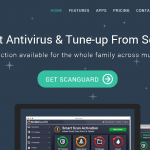 An ideal antivirus app has a clean, uncluttered interface with minimum tabs and buttons. All the necessary features should be easy to access. The Scan button should be accessed in one or two clicks. An impact on the system. Old-gen antivirus apps used to slow down the system severely. Modern software products commonly have a minimal impact on overall performance. Mind that some apps that are packed with unnecessary features are more resource-consuming than their simpler counterparts. Reliable antivirus protection is not necessarily expensive. Moreover, some free AV products are on par with their paid rivals in terms of malware protection. So, is there any difference? Are premium suites investment-worthy? It depends on your needs. Many providers offer both a free and a paid version of their products. From a technical point of view, there is no difference between them: they use the same engine, which is responsible for malware detection. If you believe that the paid version will protect you from viruses better, you are mistaken. The problem is that the majority of free products are severely cropped. It means they offer a bare minimum of features. You get nothing but a bare anti-malware engine. Yes, it will detect and neutralize viruses. But it will lack such essential functions as a firewall, a file shredder, a password manager, and others. Another annoying thing is that you will be regularly offered to upgrade. Paid AV suites are usually rich in features. Other benefits can include 24/7 free technical support, no advertisement in the app, and some additional layers of protection, for example, dedicated ransomware protection. What is the best antivirus software? It’s for you to decide. You may opt for a free suite if you need just basic protection from viruses. Active Internet users and those running an online business should think about purchasing a premium version (it will cost you approximately $60 per year). No doubt, a premium “business” suite is a must for the corporative use. No matter how technically advanced you are – if you use a device with Internet access, you definitely need antivirus software. Choosing the best antivirus is easier when you know for sure what you need. You may start from a free product offered by one of the reliable providers. But for more serious protection, choose a premium suite with convenient extra features. We hope, our recommendations will help you to make the right choice.